Calm deep red color. 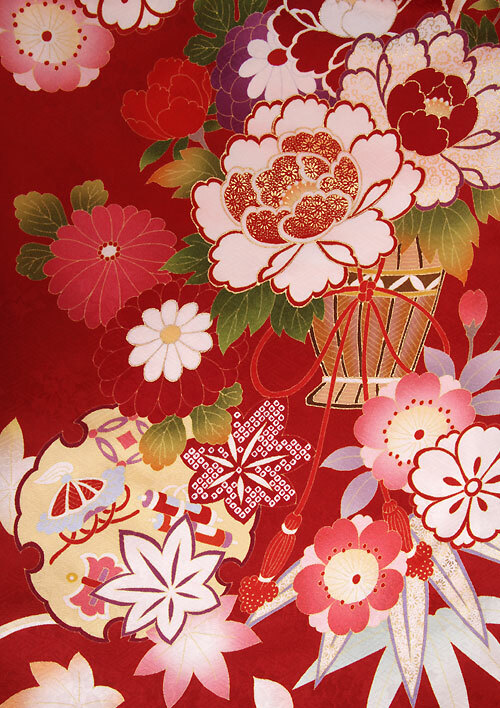 The Japanese fan pattern is mature. 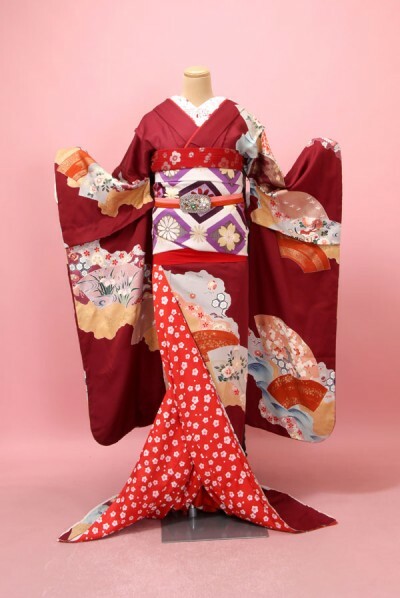 The deep red kimono and the white obi have wonderful contrast.